Quali is a modern-looking multipage HTML theme that is intended to become the rock-solid foundation of furniture and interior design sites. The clean and well-balanced layout structure makes is the perfect fit for those online resources that need to keep the users' attentio? to the recent projects and portfolio of items a brand has on offer. The theme is fully responsive and cross-browser compatible. It is quick and easy to navigate owing to the built-in MegaMenu. A number of UI elements and extra page templates provide for the worry-free modification of the theme's elements as per your own needs. It contains the fully-fledged blog that will keep the audience updated on the latest news. There is the built-in eCommerce functionality that enables you to sell items right from the pages of your site. Several working forms are provided at no cost.Please note that .psd files are not included in this template package. It's a unique method when the background picture moves more slowly in perspective compared to the parts of the foreground. Because of this, Parallax generates a sensation of a three-dimensional space. Parallax permit your web page visitors relate with your internet site and generate far better customer experience. It helps you to stand out among your opponents. Whenever a web user types a thing to the research bar, the major search engine looks for it according to certain rules. Search Engine Friendly template's code is usually specifically clear and structured to make Search engine optimisation attempts less complicated. Using it, you'll be able to bring in lots of targeted customers to the website from search engines. Bootstrap 4 is a free to download framework that enables setting up responsive and mobile-ready websites. Via Bootstrap 4, you'll be able to construct 100percent responsive online websites that will give the net users with the ultimate browsing practical experience regardless of the devices they prefer to get into your internet project. It is a capability of the website to instantly adapt to any display dimension and resolution. Responsive design help to make your site or blog look equally awesome on screen of any sort of desktop computer or hand-held gadget. Working with this sort of framework significantly enhances the entire process of building website pages. Common patterns are really simple to change, which supplies a flexible and easy process for developing site layouts. Can I customize the web template for Photography Blog if that's required by application settings? Yes, you can customize the web template for Photography Blog code, graphics, fonts to any extent needed. Is it possible to reactivate my download link for Furniture Store web template if it was deactivated after 3 days? Yes. Please re-activate the download link for Furniture Store web template within your account under the Downloads tab or contact our billing department directly regarding that. What will I see instead of the images after installation of the web template for Furniture Store? After web template for Furniture Store installation you will see blurred images included for demo purposes only. Are there any restrictions for using imagery, cliparts and fonts from the website template for Photography Magazine I purchased? All imagery, clipart and fonts used in website template for Photography Magazine are royalty-free, if not stated otherwise on the product page, and are the integral part of our products. One Time Usage License and Developers License give you the right to use images, clipart and fonts only as a part of the website you build using your template. You can use imagery, clipart and fonts to develop one project only. Any kind of separate usage or distribution is strictly prohibited. I would like to purchase website template for Design Store, but it is not available on the site anymore. The website template for Design Store has been sold out for exclusive price or discontinued.As technology inevitably develops, TemplateMonster may discontinue the production of certain products. It can be no longer available for sale because of being outdated. Can I get the website design template for Home & Family Services in higher resolution to use for printing? No, we design web templates for Home Furniture optimized for web resolution only. What is the difference between unique and non-unique website design for Furniture Company purchase? Non-unique purchase:Non-exclusive purchase means that other people can buy the website design for Furniture Company you have chosen some time later. Unique purchase:Exclusive purchase guarantees that you are the last person to buy this template. After an exclusive purchase occurs the template is being permanently removed from the sales directory and will never be available to other customers again. Only you and people who bought the template before you will own it. In what cases I don't need the extended license for Design News website design templates? Can I put a line at the bottom (or any other spot) of my new product Website development by Company name after purchasing Family website design? Yes, you can place a note at the bottom (or any other spot) of my product Website development by Company name. Nevertheless, you cannot place Website design by Company name while using one of Family website design. Can I put low resolution thumbnails of Photography website design templates on my website for my clients to choose designs? Can I customize the website design template for Interior & Furniture Store? Yes, you can customize the website design template for Interior & Furniture Store to any extent needed. You cannot use a header of the template for one project though, and images from the template for the other project. I like the image from the Family website design and would like to use it for my advertising campaign, can you send me this image in a higher resolution? No, we can't provide image in higher size or resolution rather than it is on the Family website design. We recommend looking for professional images on online photo resources. Is it possible to buy the particular image from the website design for Interior & Furniture Company? No. According to our Terms and Conditions we never sell the images separately from web templates for Interior & Furniture (as well as the templates separately from the images). Will you help me to customize my website template for Photography Magazine? We do not provide any help or instructions on website template for Photography Magazine customization except for www.template-help.com help center. If you are not sure you can customize the template yourself we recommend to hire a design studio to customize the template for you. Is it possible to use your website design templates for Interior to develop websites for my customers? Yes. It is perfect for designers who want to offer their customers a high-quality design and also save time and money. Keep in mind that when you purchase the Home website design with ordinary or exclusive license you're entitled to create only one project (one domain name). How many applications, programs etc can I use to integrate with the Interior & Furniture Shop website templates under one extended license? The extended license gives you the right to use the purchased Interior & Furniture Shop website templates for the integration with one software/freeware/application/CMS/sitebuilder only. In case you would like to use the template with the other application, the other license is to be acquired. Will the website design for Interior & Furniture Magazine be deleted from TemplateMonster database? No, the website design for Interior & Furniture Magazine will not be deleted from TemplateMonster database. Can I integrate the Home & Family web template with third-party software or applications for development of my new products? No, you cannot get the developers license for development of Home & Family web template or other products. 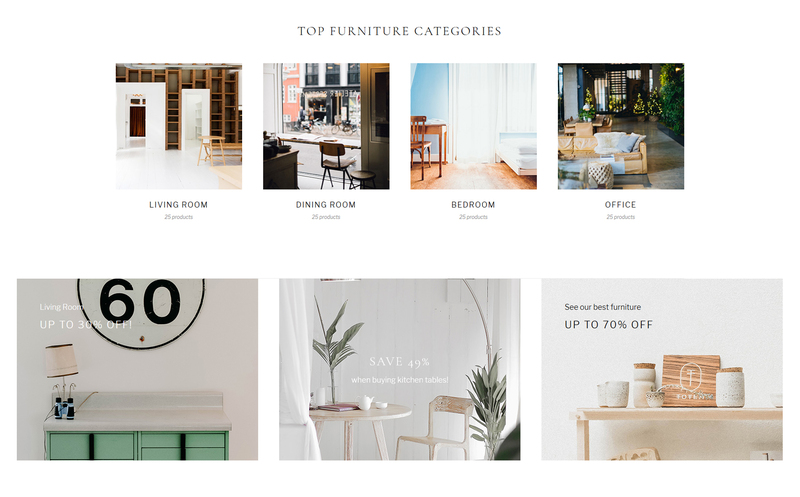 Can I contact the Furniture Shop website design template author? Yes. You can contact this Furniture Shop website design template author/author's team directly using your personal account under the Support tab. Are your Furnishing website design templatescompatible with any CMS? Can I resell web templates for Design News I bought the developers license for? You cannot resell the customized website design for Design Magazine as a template, but you may sell it as a project to your client. Make sure that these charges for website design template for Furnishing have different order IDs. If it is so, contact our billing department. What is the price for acquiring the extended license for Design Store website design template? There is no set price for acquiring the extended license. The price is based on the Design Store website design template's unique price for those templates you would like to use for the integration. The price for purchasing license for a single template is half of the template unique price. What is a one time usage license for a website template for Furniture Shop? When you buy the website template for Furniture Shop at usual price you automatically get the one time usage license. It enables you to use each individual product on a single website only, belonging to either you or your client. You have to purchase the same template again if you plan to use the same design in connection with another or other projects. When passing files to your client please delete the template files from your computer.